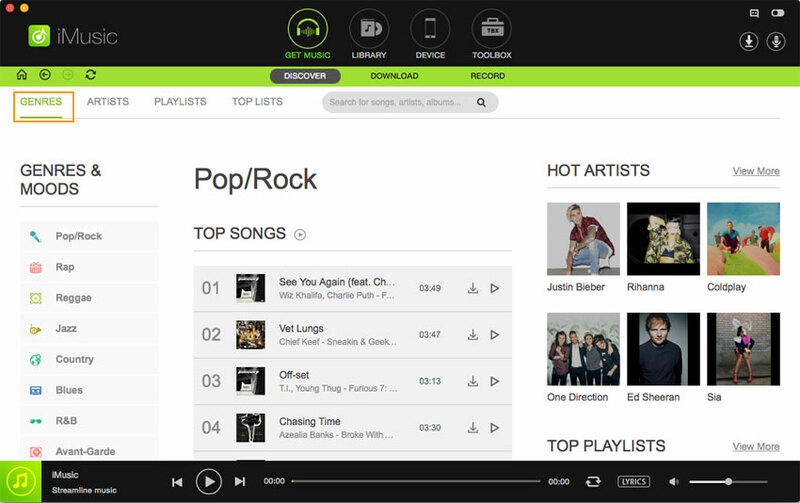 Spotify is an online portal hosting millions of songs. With a single account, users can listen to their favorite music anytime, anywhere and by using any device. However, they cannot download the songs from the application. Only the premium version provides the ability to download music. The premium version varies according to the need and requires paying a monthly fee or annual fee. Not everyone can opt for a premium version. 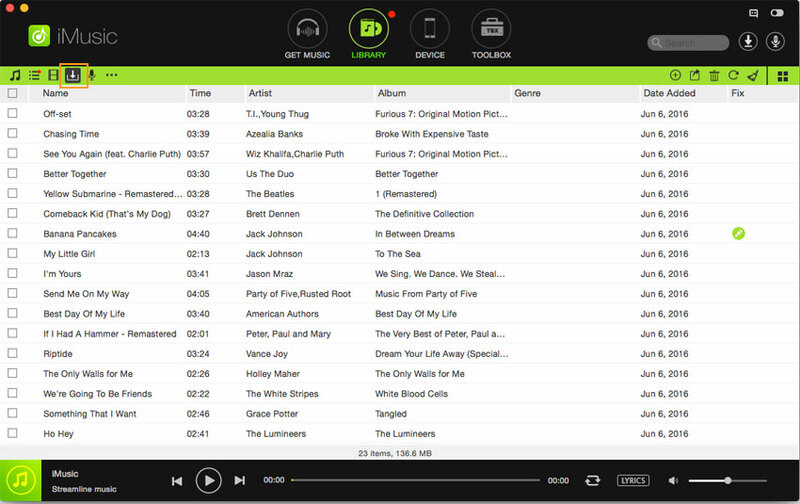 Therefore, in this article, we are providing you with information that explains about three different methods to download music from Spotify in a few simple steps. Downloading music from Spotify requires paid membership. 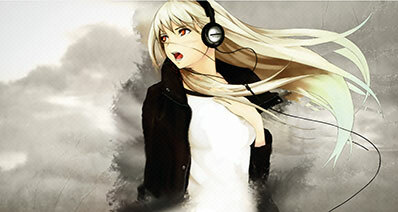 However, with the assistance provided by iMusic, users can download and organize their library in a few simple steps. Yes, that is true! iMusic is a capable program that extracts music from Spotify, saves them MP3 or MP4 format, and helps in organizing the library. Also, the tool is further helpful in transferring the downloaded content to iOS and Android devices with ease. 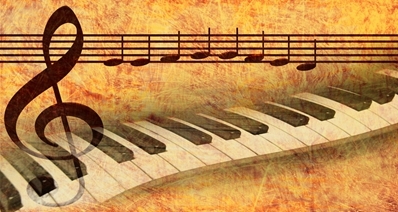 The built-in toolbox with various options helps in improving the overall experience that a music lover would expect from a well-established software. The following description will throw light on the important features embedded within the program. Step 1: Install the trial version of iMusic after downloading it from the iSkysoft official site or from the links below. Complete the installation procedure and start the program. Upon opening the application, you will notice the product window containing several options. Click “Get Music” from the main menu and opt for “Discover” feature. Step 2: iMusic will display the window with latest albums/songs. 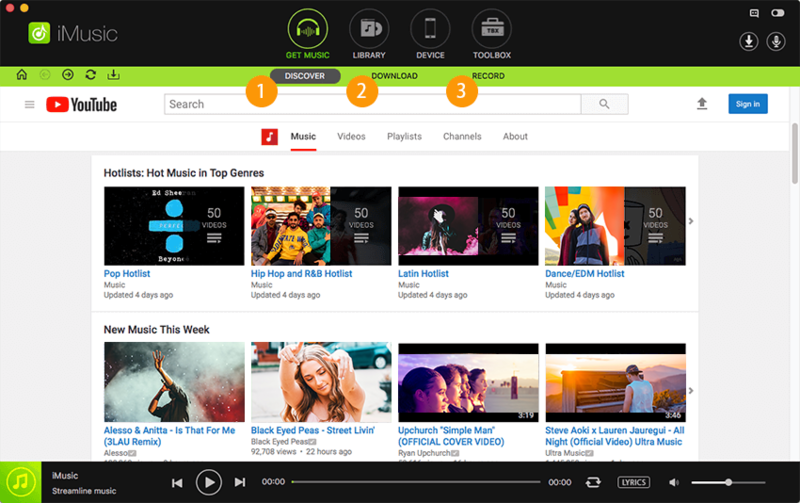 You can begin browsing the content by genre, artists, playlists, and top playlists. You can additionally use the search box to look for a song directly. Step 3: Click the play button at the bottom to listen to the songs. 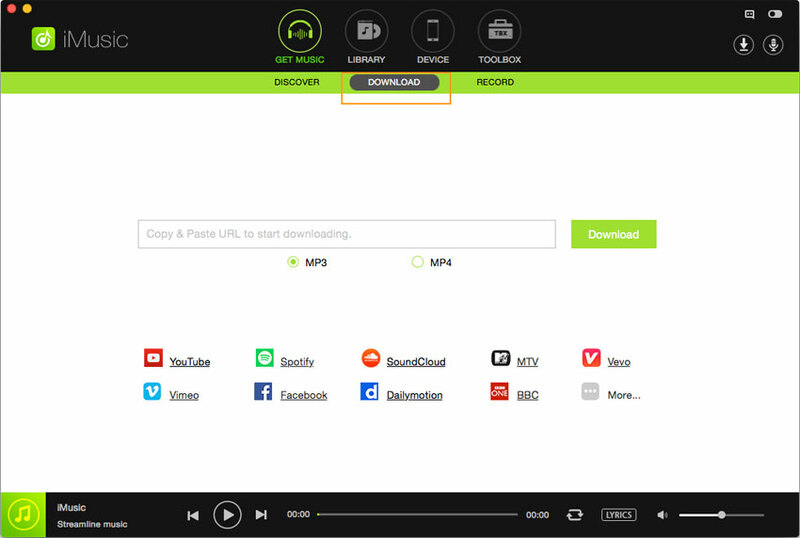 If you want to download the song, then press the download icon, choose MP3 as format, and press “Download” to save to your Mac. Step 1: Launch the iMusic application on the Mac. From the product window, choose “Get Music” feature and navigate to the “Download” feature. 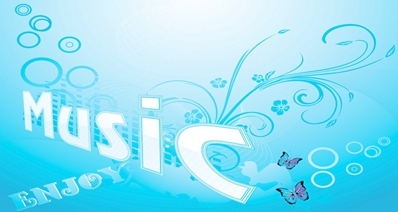 The feature allows a user to download music from any web portal using the URL. Users will notice the following screen on their Mac. Step 2: Visit Spotify website, login (if there is a need), and search for the song/songs that are your favorite and want to save to your Mac. Now, copy the URL of the song. You can now return to the iMusic application on the desktop and paste the link in the URL paste box as you see it on your screen. Here, you can select MP3 as the output format, and press “Download” to save the song to your Mac. Step 3: After completing the download, you can check for the song in the iMusic library. You can access the library from within the application by clicking the “Library” feature in the menu bar. It will open the list of the songs present on the Mac. Now, to see the downloaded song from Spotify, press the “Download” icon on the top left side of the window. It will present the list of the downloaded songs. You can then directly add them to iTunes library or transfer to any external device with ease. Step 1: Launch iMusic and select the “Get Music” feature from the menu bar. The feature is helpful for those who are avid listeners of online radio stations and for those who cannot opt for Spotify premium. They can record the songs and save them to their Mac in MP3 format. Press the “Record” option to continue to the next step. 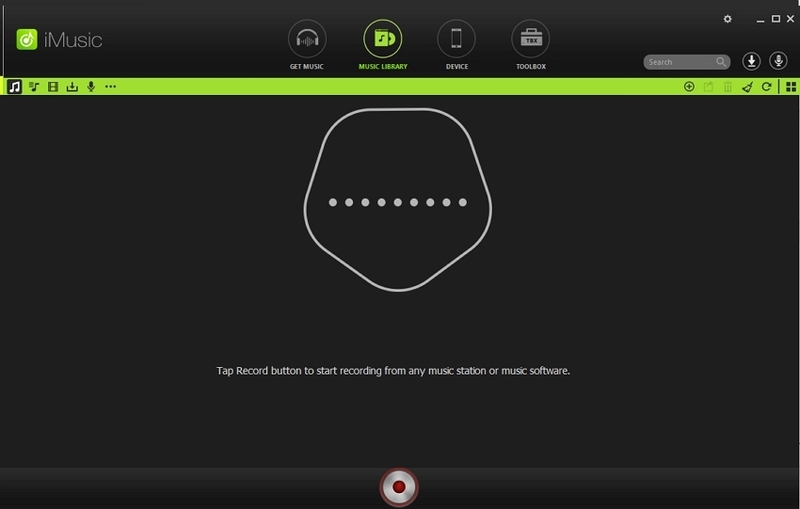 Step 2: Press the record icon displayed on the menu to let know that the software is ready to capture the streaming audio. Open Spotify on your preferred browser on the Mac. Navigate to the song or playlist that you wish to save. Press the play button. iMusic will learn that you initiated the start of the song and will begin to record the song/songs. Interestingly, the program will further search for ID3 tags and missing information related to a song or songs within the playlist and insert the same before it saves on the computer. That way, you have less pain in searching for information. 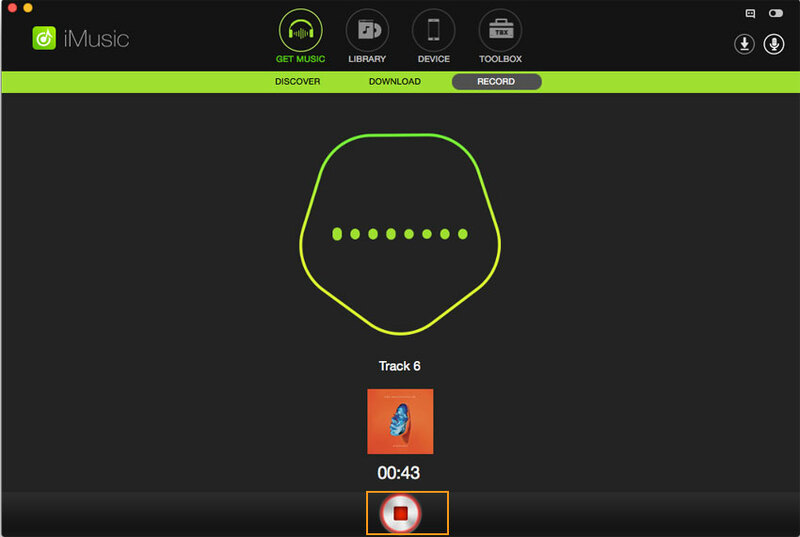 Step 3: Click the “Library” icon from the menu bar, and press the recording symbol to display the songs recorded from Spotify. You can add them to iTunes library or transfer them to any iOS/Android devices. Discover – the feature helps you to search for favorite songs by using artists name, hottest playlists, trending songs, new songs, and genres. Apart from listening, users can download a song and save to their Mac directly. 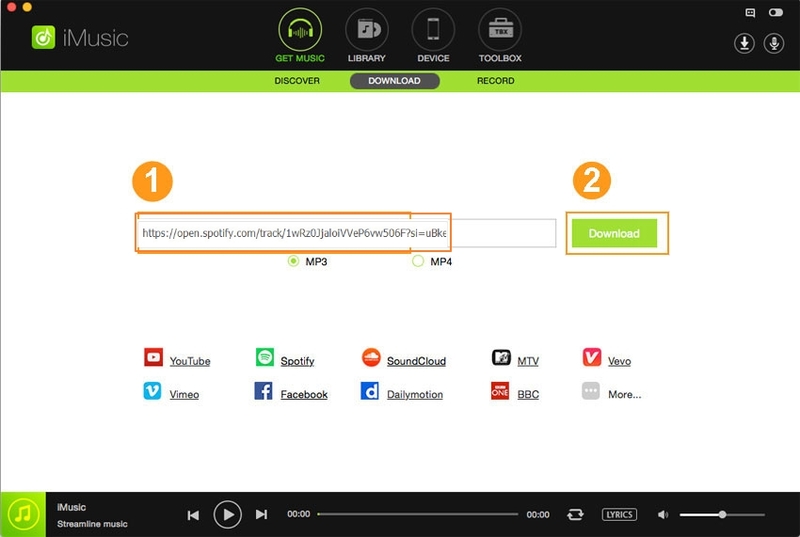 Download – with the help of this, users can download songs from over 3,000 websites that include YouTube, Spotify, Facebook, Vimeo, and others. 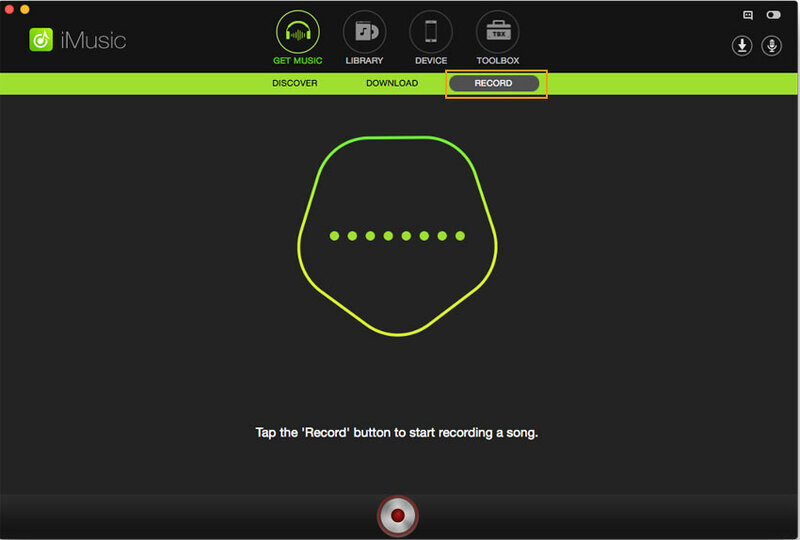 Record – using this feature, the user can easily record a live streaming audio such as an online internet radio and save it as MP3 while the program searches for ID3 information in the background and completes the details with ease. 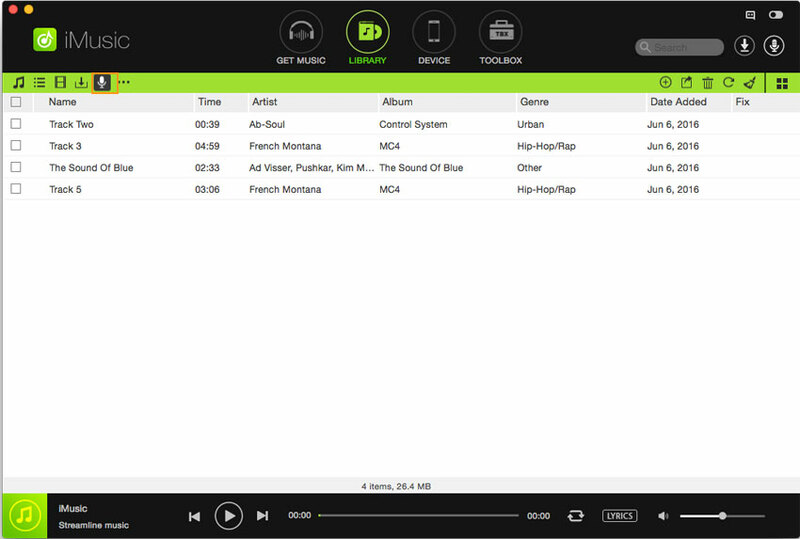 Transfer – iMusic provides the chance to move the downloaded songs or existing media on the computer/Mac to Android/iOS devices and between iOS and Android devices directly. Fix – you can fix the iTunes library for broken links, mislabeled songs, missing ID3 information, and album art. Rebuild/backup – create a backup of the library so that you can easily move the same to another computer/Mac when you are in the process of switching or use a previous backup to update another library on a different computer.